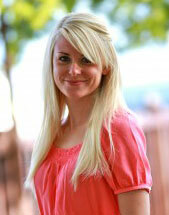 The past few days have been cold, foggy and grey here in Northern California. Yesterday was the first official day of Spring, but we definitely missed the memo! All this rain has left me craving some good old fashioned comfort food….and what’s better comfort food than homemade macaroni and cheese? When I was growing up, my favorite meal was shells and cheese from the box. I know…I know! But can you deny how delicious it is? Well, once you try this easy homemade version I promise you’ll leave that box on the shelf for good. I added some chicken and broccoli to beef this classic up a bit — it’s definitely a family favorite and you cook this version right on the stove; no need to waste time in the oven. This is one of the most delicious, satisfying thirty-minute meals I know! 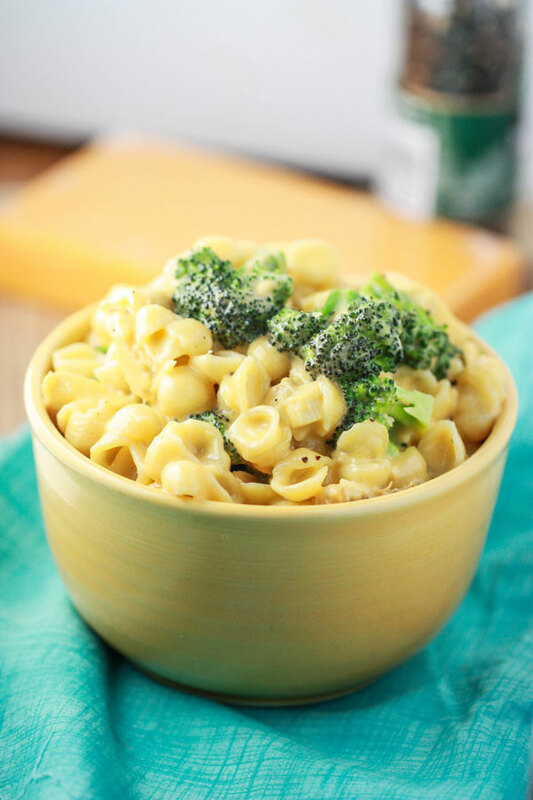 Enjoy comfort food with hearty shells and cheese with chicken and broccoli for a quick homemade version of mac and cheese from food blogger Jenna Weber from the Fresh Tastes blog. Bring the pasta to a boil in a large pot until tender. 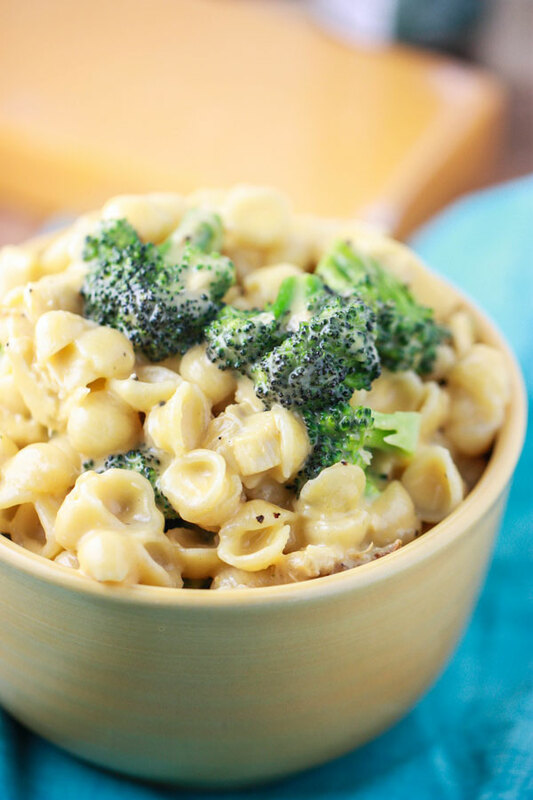 While the pasta is cooking, steam broccoli in the microwave by zapping it for 2 minutes, stirring halfway through. The broccoli should be bright green and just slightly tender. Drain the pasta and set aside. Set the steamed broccoli aside as well. In a large heavy-bottomed pot, melt the butter over medium heat. Add the flour and stir continuously until the mixture is slightly lighter than the color of peanut butter. This is called a roux and it’s used to thicken the cheese sauce. Slowly pour in the milk, whisking while you pour. Continue whisking until no lumps of roux are left. Stir continuously for about five minutes, until sauce thickens. Add the cheese, dry mustard, a big pinch of garlic salt and pepper. Keep stirring until all the cheese melts. 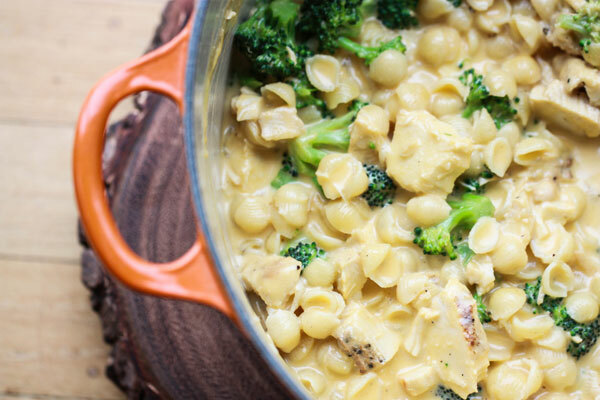 Add the steamed broccoli and chopped chicken to the cheese sauce. Stir well. Add the cooked pasta and mix until well combined and heated through. Season again with more garlic salt and pepper and serve!